Next Tuesday, January 27th, is International Holocaust Remembrance Day, and this year marks the 70th anniversary of the liberation of Auschwitz. 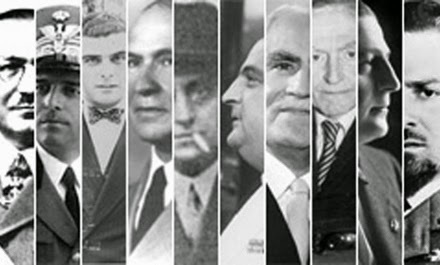 To commemorate the victims of the Holocaust, The Canadian Film Institute (CFI) in collaboration with the Embassy of Italy in Ottawa, invites Ottawans and local cinephiles to take in a complementary screening of the Italian documentary 50 Italians and learn more about this chapter of history. 50 Italians, a 2008 doc by Flaminia Lubin, will be presented at Library and Archives Canada (395Wellington Street) at 8:00 pm. Synopsis Released in 2008, 50 Italians is the feature-length documentary film directed by Flaminia Lubin which tells the stories of 50 high-ranking Italian diplomats and generals who helped nearly 50,000 Jewish Italians and non-Italians escape persecution, deportation and death during the Second World War. The film follows events from 1940 until the declaration of the armistice between the United States and Italy on September 8, 1943. The film will be presented in English and Italian with English subtitles at Library and Archives Canada at 8:00 p.m on Tuesday, January 27th. 50 Italians - Trailers from www.IRoad.tv on Vimeo.